BlackRock, the world's largest asset manager, has substantially increased its stake in hospital chain Tenet Healthcare Corp. since January, a recent regulatory filing shows. BlackRock bought about 2.2 million more shares of Tenet between February and April and now owns 11 million shares, or 11% of the outstanding shares, according to a 13G filing with the U.S. Securities and Exchange Commission. With the purchases, BlackRock solidified its position as Tenet's second-largest shareholder after Glenview Capital Management, which has nearly 18 million shares, or 18% of common shares. It is unclear whether BlackRock's new stake signals a more activist stance. As is its policy, BlackRock declined to comment on its new Tenet investments. A Tenet spokesman also declined to comment. When Glenview increased its stake last year, its influential CEO Larry Robbins requested and received two newly created seats on the Tenet board of directors in a move to advise the system on operational and financial changes and improve shareholder value. BlackRock CEO Larry Fink is a long-term investment strategy advocate, and has criticized CEOs who have chased short-term stock returns with share buybacks and other capital-expending programs. The fact that BlackRock's SEC filing was a 13G rather than a 13D would suggest the investment is passive, in order to take advantage of a Tenet stock price that has been beaten down since last summer. Tenet, Community Health Systems of Franklin, Tenn., and a number of other healthcare providers' stocks have been hurt by investor concerns over rising wages and flattening volumes from the Affordable Care Act. Tenet's shares hit a 52-week high of $60.78 on July 14, 2015, but at the time BlackRock made its additional investment in Tenet, the system's shares traded in a range between $23.39 on February 11 to $32.59 on April 26. That means BlackRock spent between $51 million on the low end to $72 million on the high end for the additional 2.2 million shares. BlackRock has about $4.5 trillion in assets under management. During the period of BlackRock's additional Tenet investment, the Dallas-based company was achieving a modest turnaround. Operating income in the first quarter rose to $347 million on revenue of $5.4 billion, compared with operating income of $290 million in the prior-year quarter on revenue of $4.8 billion. Hospital admissions, emergency room visits and surgeries all rose in the quarter, compared with the prior year. Net income, however, was hamstrung by a lingering kickback lawsuit against Tenet. 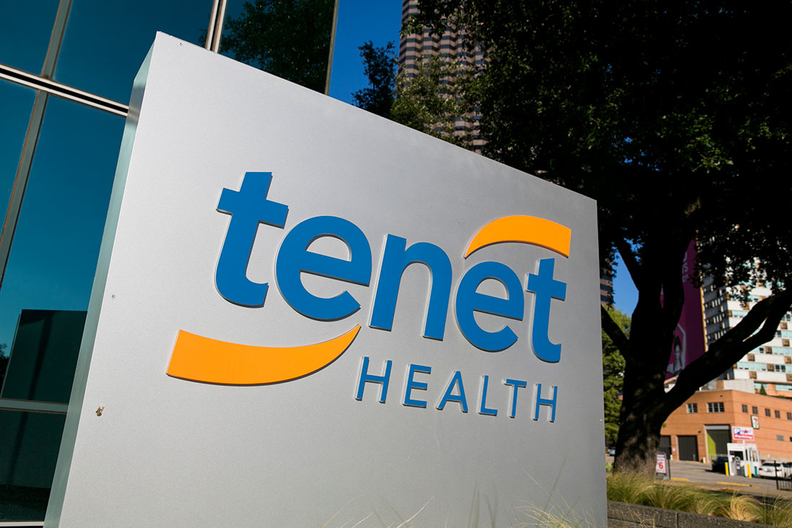 During its earnings release this month, Tenet raised its reserves to $407 million for potential payouts to resolve a False Claims Act lawsuit involving alleged kickbacks for maternity referrals by four Georgia hospitals it once owned, the company disclosed in an earnings release Monday. The raise represented a 71% increase in those reserves, from $238 million in February, after authorities rejected Tenet's settlement offer. Glenview Capital Partners has owned at least 5% of Tenet since buying shares in 2012. An earlier version of this story misstated when Glenview bought its entire position.